KANAZAWA, ISHIKAWA PREF. 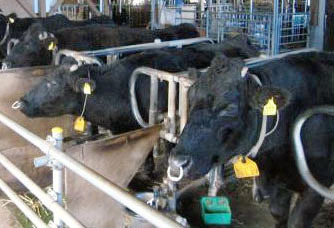 - The world’s first cloned cow died of old age Monday, according to the prefectural government of Ishikawa. The female cow, Noto, was 19 years and 10 months old when she passed away. Officials announced Tuesday that an autopsy showed she was not suffering from any diseases at the time of her death. According to the livestock experiment station of the prefecture’s agriculture and forestry research center, Noto stopped moving about and began having breathing troubles around May 4. 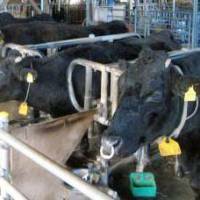 The cow recovered enough to eat feed by itself after being administered special nutrients. But the animal’s condition suddenly worsened Monday afternoon before dying. Noto was born as a twin in July 1998 in a joint project with Kindai University using somatic cells of an adult cow. The technology used to create Dolly the sheep in Scotland in 1996 was used to create the two cows. Its sibling, Kaga, is alive and being taken care of at the livestock station. The two cows both gave birth to their own calves as well. Cows can live for about 20 years, the equivalent to 80-100 years old in humans. Scientists have been conducting research on whether the life span of cloned cows is longer or shorter than that of ordinary cows.